This chic arrangement is the ideal gift for any trendsetter in your life! 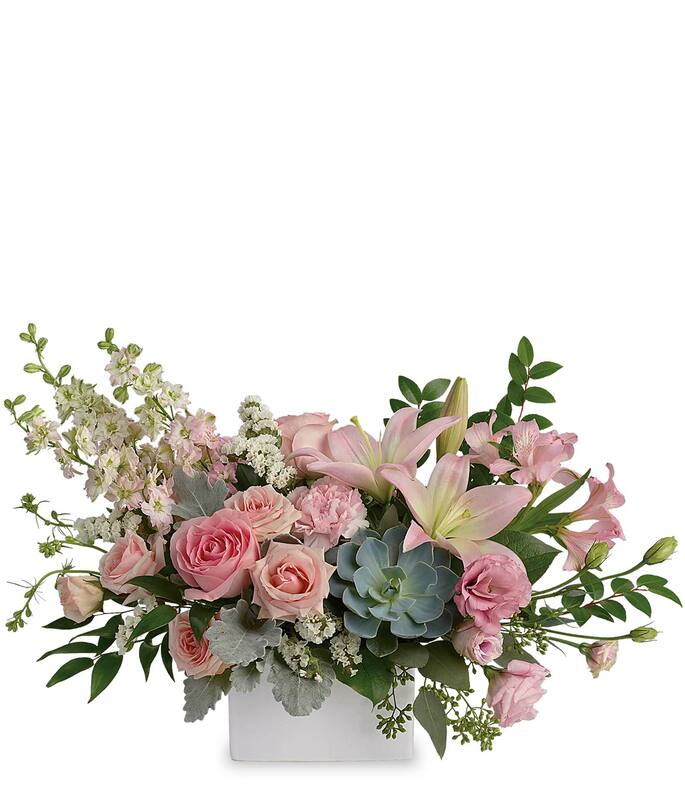 Delicate pastel pinks and a sophisticated succulent come together in a perfectly harmonious, ultramodern floral display! Approximate arrangement Height 21", Length 13"